A selfing of a rare color form of this miniature Brazilian Laelia (Microlaelia) species. 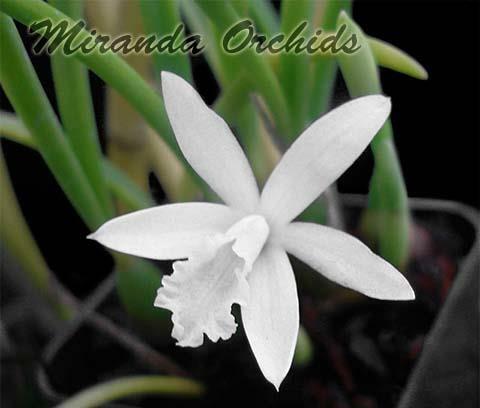 Flowers are absolutely pure white, and these seedling are actually near/or blooming size as the species is really compact as the picture shows. Bright light conditions and dry winters.